Anyone who has spent any time in the kitchen will tell you that there certainly are essential tools to help you get through mealtime. If you’re an avid home cook, you’ll stock your kitchen with everything from sharp knives to well-seasoned cast iron cookware. And, if you’re a baker, you know that there is one tool that you just can live without . . . the rolling pin. In fact, the rolling pin is a tool that transcends both the cooking and baking genres, proving itself to be an indispensable tool for making sweet or savory pies, noodles, fondant, puff pastry, flatbreads and more. There are rolling pins for all occasions and choosing the right one for a specific purpose is important. For most home cooks, a wooden rolling pin will prove the most versatile and serves best as an all-purpose rolling pin. Whether it is for preparing pastry for sweet or savory pies, flattening yeast-raised dough for pizza, making cut-out cookies, or cranking out udon noodles, the wooden rolling pin helps get the job done. While professionals often choose a lightweight, handle-less wooden pin, such as a baker’s or French pin pictured below, most home bakers feel most comfortable with a heaver and handled wooden pin. The wooden rolling pin allows for easier flattening of dough, and the slightly larger barrel requires fewer revolutions, making the task easier. Mrs. Anderson’s Baking Rolling Pins from Harold Import Co., made of hardwood in the USA. Wooden rolling pins can be made of various types of woods including maple, walnut and cherry. Each wood has distinctive properties, so choose a high quality wood to suit your needs. Strong and heavy, a hardwood is a great choice to resist abrasions through the years. The desired length of a wooden rolling pin is with a 3-inch diameter of the barrel and can vary from 12-18 inches, with somewhere in between being one that suits most needs. A good quality wooden rolling pin will last long enough to hand it down to the next generation. If possible, give it a roll in the store. It should easily roll, and give your knuckles ample room to move across the dough without knocking your knuckles on the dough or pastry board. Don’t leave a wooden rolling pin in water or the dishwasher – it may warp or crack, or cause damage to the bearings in the handle. Wipe with a dry paper towel, then follow up with a damp cloth. If necessary, lightly use a scouring pad. You don’t want to use soap because it may seep into the wood. One of the classics of baking is making your own pie dough. While it may seem daunting for some, keep in mind it requires only a few ingredients (flour, Crisco, salt and water), and a little patience. When you have a classic kitchen tool such as the wooden rolling pin on hand, you’ll have it mastered in no time. If you are wondering how to make a flawless, flaky pie crust, head on over to Family Eats to get a few tips on making the perfect pie crust. This entry was posted in Useful Tools and tagged Baking Tools, Family Eats, Laura Everage, Mrs. Anderson's Baking Tools, Rolling Pins, Tools Exclusively from HIC Harold Import Co. on October 6, 2014 by Laura Everage. This holiday season we put our Cannonball Ice Ball Tray to the test, for baking as well as ice making… and feeling in a jolly mood, used it to make reindeer cupcakes. (You could also create dog, cat, or bunny cupcakes… pretty much any animal with a head and body, just get creative with the decorations!) You can find a Cannonball Ice Ball Tray of your own, here, and in gourmet kitchen shops nationwide. 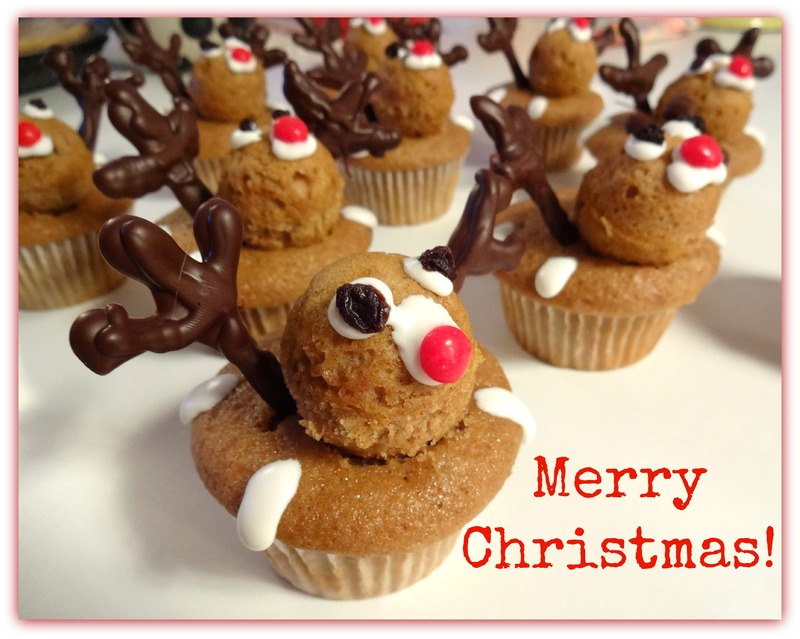 First, prepare batter and fill both traditional cupcake cups (for the body) and the Cannonball Ice Ball Tray for the reindeer heads. 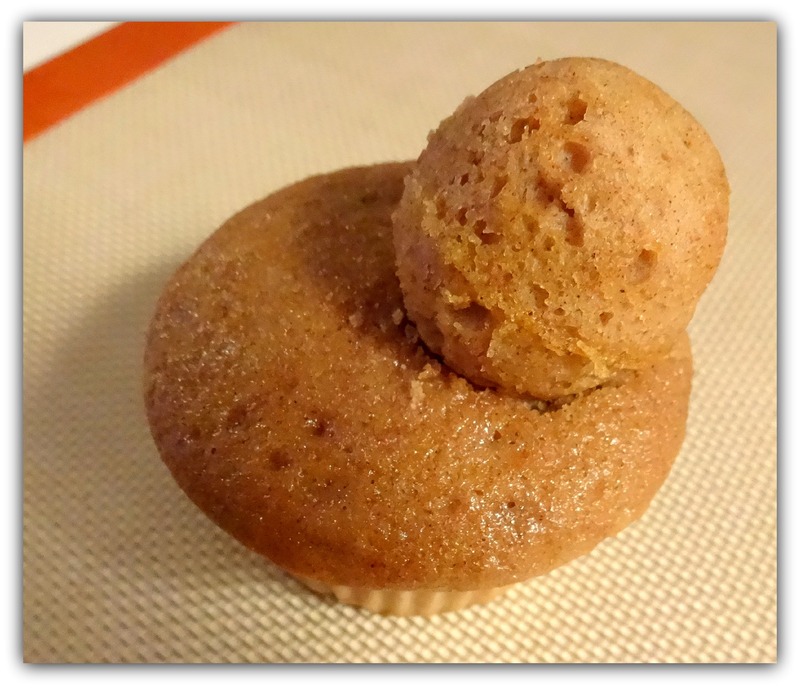 See our Spice and Pumpkin Cake Batter recipe, and how to bake cake in the Cannonball Ice Ball Tray here. Or, you can use any flavor of cake you desire. 1. 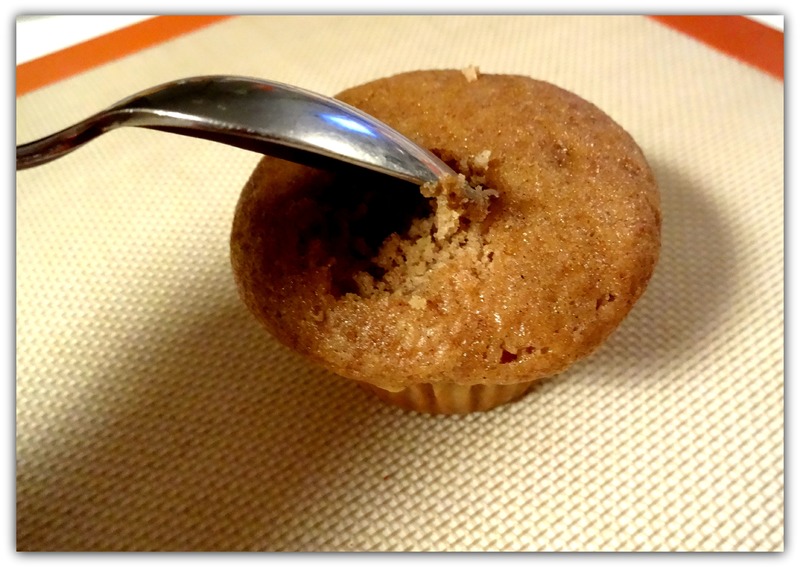 After cupcake cups and cake balls are completely cool, following the recipe found here, use a spoon to scoop a small amount of cake from the top, near the edge, of each cupcake. Create a small divot for the reindeer head to sit in. 2. Melt baking chocolate in a double boiler. We used Rose’s Silicone Baking Bowl. Melting Chocolate in Rose’s Silicone Baking Bowl. 3. Place the cake ball made in the Cannonball Ice Ball Tray into the divot, on top of the melted chocolate, and let cool. This will help hold the head nicely in place. 4. Decorate the face, as you choose. We used cinnamon imperials for the nose, dried currants for the eyes, and white icing for the feet and base of the eyes and nose. 5. Creating the antlers – put some melted dark baking chocolate from Rose’s Silicone Baking Bowl (find yours here) into a pastry bag fitted with a fine tip, and pipe the chocolate into antler shapes on a Silpat baking mat. Place in refrigerator to cool. 6. 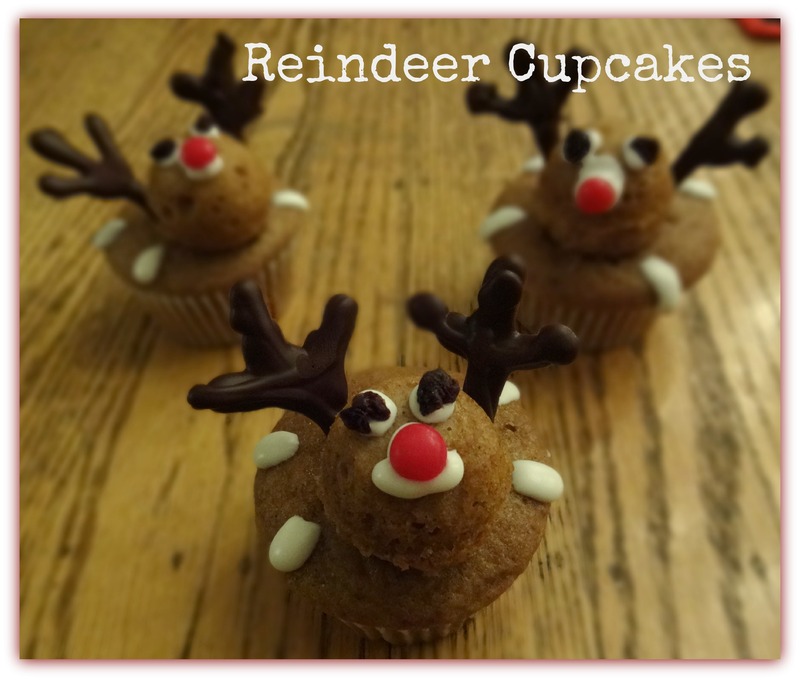 Press the base of each antler into the cupcake behind the reindeer’s head. Interested in learning more about HIC, Harold Import Co.? Contact us here. This entry was posted in Useful Tools and tagged Baking, Baking Tools, cannonball Ice ball tray, cocktail ice ball tray, Desserts, HIC's Ice Cube Trays and Ice Pop Makers, Holiday Recipes, Sweets, Tools Exclusively from HIC Harold Import Co. on December 25, 2013 by HIC, Harold Import Co..
HIC, Harold Import Co.’s very own Cannonball Ice Ball Tray, previously known as the Cocktail Ice Ball Tray, was created to take care of the need for an ice cube that will dissolve more slowly, leaving your cocktail or any beverage, chilled but not diluted. Not only does it achieve this goal, but makes a perfect cake pop or cake bite as well! We will show you how to make them step-by-step, below. The size of each cube – 1.5 inches in diameter, means you can use just one in a rocks or cocktail glass, or add many of these frozen spheres when filling an ice tea pitcher or large glass. The larger the piece of solid ice, the slower it will melt into your drink. To get yours, visit Fante’s Kitchen Shop. Coming soon, to fine kitchen retailers nationwide. To make ice balls or spheres in the Cocktail Cannonball Ice Ball Tray: Fill the bottom portion (you can tell which is the top, because it has small pin holes to allow air to escape) with water, until it’s exactly halfway up to the top edge of the tray. Press the top of the mold down until it fits snuggly against the base. Freeze. To remove, run warm water over the outside of the mold for a few seconds. This melts any ice that could have formed between the ice cubes or spheres, so they can each pop out of the mold easily. Now, set the mold down, right side up, and pull the top half off the bottom. The cubes will be sitting in the bottom half of the mold, and will release easily. Creating berry filled ice balls to slowly infuse your drink with berry flavor is another way to use HIC’s Cannonball Ice Ball Tray. Simply crush fresh or previously frozen berries, such as blueberries, raspberries (shown here) or strawberries, and fill each each round in the bottom half of the tray with the crushed berries, heaping full. Crushing the berries and stuffing and filling each round until heaping full is important, so that the berry mixture is not completely sealed in a thick layer of ice, and will be able to make contact with your drink to allow infusion. Next, add water, and fill the bottom half of the tray until it’s exactly halfway up to the top edge of the tray (as illustrated above). Press the top of the mold down until it fits snuggly against the base. Freeze. Remove ice balls as illustrated above, and place in a glass of fresh water, tea, or juice. It will take a few minutes for the thin ice just covering the outer edges of the berry mixture to start to melt, and reveal the berry beneath. The berry juices will tint your beverage a lovely bright hue, as pictured, and add a subtle berry flavor. The Cannonball Ice Ball Tray is made of silicone, measures 9.25″ x 3.75″ dishwasher safe, and heat safe up to 500 degrees. The Cannonball Ice Ball Tray serves double duty, not only to make ice balls or spheres, but also works brilliantly for cake bites or cake pops! Below we’ll share a really moist spice and pumpkin cake recipe, as well as a step-by-step guide to making cake bites in the HIC Cannonball Ice Ball Tray. 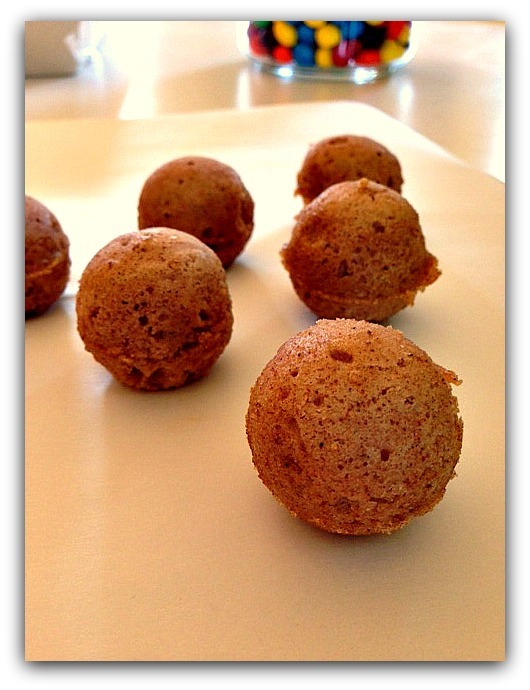 Mix flour, baking soda, salt, and spices. In a separate bowl, mix eggs (room temperature!) sugar, softened butter, sour cream, and pumpkin puree. Gently fold dry ingredients into wet. How to achieve a super moist cake? Baking maven Rose Levy Beranbaum offers a wonderful tutorial. Preheat oven to 325, and set the oven rack in the center of the oven. Lightly butter the insides of the rounds of both halves of the tray. Try putting a little butter on a piece of a paper towel and rub the butter into the rounds. It might sound a odd, but doing it this way enables an even and light coating. To see how they would turn out differently, some of the cups in the tray were coated with butter and some with non-stick baking spray. Both popped out of the form equally well after baking. Use a tablespoon to fill each round in the bottom piece of the mold precisely. You can tell which is the bottom, because it doesn’t have pinholes. The half with the pinholes will be placed on top, and the holes allow for steam or extra batter if overfilled, to escape during baking. Heap the tablespoon with batter, and then fill each hole flush. Go back to the mixing bowl with the spoon to get a bit more batter, and top off each hole so they are overfilled to the point of mounding about ¼ inch above flush, but not so much that it spreads onto the surrounding flat part of the silicone tray. Press the top half of the mold down onto the bottom half, and squeeze the two together so they fit snugly. Place on a cookie sheet, and bake for 14 minutes. Remove from oven and let the mold sit unopened, cooling, for another 10 minutes. To remove the cake bites, slowly pull the top half of the mold up off the bottom half. Use your finger to gently press down on the top of each peak in the mold, to release the cake bite if it seems hesitant to release. We found we needed to do this on a few, but others released on their own. Once the top half of the mold is lifted off, hold the bottom half of the mold in your hands, and pop the cake bites out by pressing up on the bottom of each round to release them. Because these are made of cake batter, and not cake batter mixed with frosting as traditional cake pops are, they are softer and a bit more delicate (especially when still warm) so handle gently. If you find a ridge around the circumference of the cake bite where the mold halves meet, it can be scraped off with a paring knife. You can decorate with frosting, glazes, sprinkles, or simple powdered sugar. 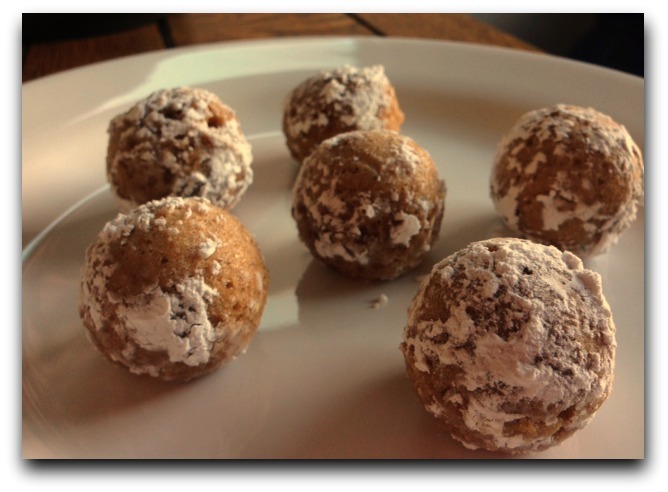 To achieve the look of the cake bites shown in this post, sprinkle powered sugar on a plate and roll still barely warm cake bites in the sugar until coated, and serve. To clean the Cannonball Ice Ball Tray, wash in warm soapy water or pop in the dishwasher. This entry was posted in Useful Tools and tagged Baking, Baking Tools, cake bites, cocktail ice ball tray, Harold Import Co., HIC's Ice Cube Trays and Ice Pop Makers, ice sphere mold, Made by HIC, Sweets, Tools Exclusively from HIC Harold Import Co., useful tools on June 27, 2013 by HIC, Harold Import Co..